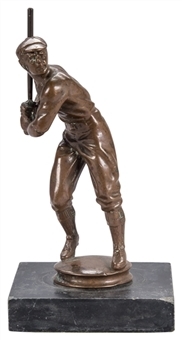 Offered here is a bronze statue of a baseball player. 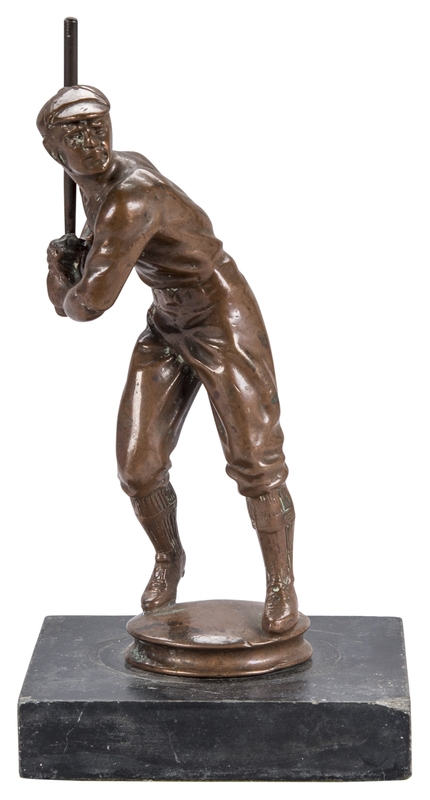 The baseball player is posed in a crouched right-handed batting stance while wearing a vintage cap. 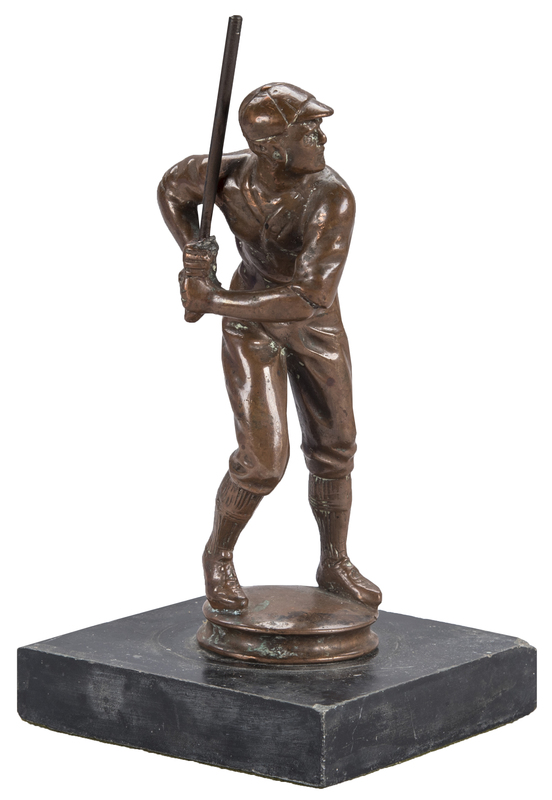 The batter is displayed above a 4 x 4-inch black pedestal. His total height is approximately nine inches. 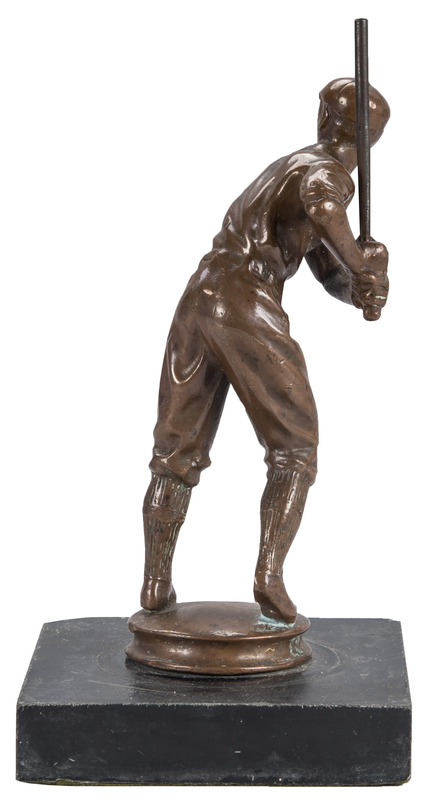 This statue is in good condition and would make a terrific display piece in any collection.